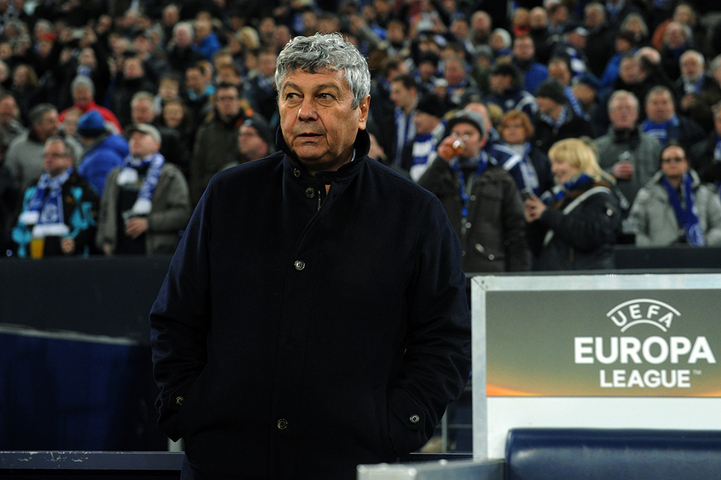 On February 25, Shakhtar faced Schalke in the second leg of the UEFA Europa League last 32. UEFA Europa League - 2015/16. Last 32. Return leg. February 25, 2016. Gelsenkirchen. Arena AufShalke. 5C. Attendance 45,308. The first game between the opponents in Lviv ended 0-0. Oleksandr Kucher was suspended for the second game, and his place in the heart of defence was occupied by Serhiy Kryvtsov. Oleksandr Gladkyy was missing the game because of flu. Facundo Ferreyra was spearheading the attack. The game began with the hosts’ attacks: Geis hit the goal post after taking a free kick, and Belhanda’s powerful effort was saved by Andriy Pyatov. Shakhtar responded with two great chances: Taison’s shot was saved by goalkeeper, and on 11 minutes, following a cross Taras Stepanenko tried to slot the ball in but missed the target. After that, the game became more evenly-matched, the opponents tried to orchestrate positional attacks. On 26 minutes, the Pitmen launched a quick counterattack. Viktor Kovalenko made a run towards the opposition penalty area before playing the ball into the path of Ferreyra, who crossed to the penalty spot area for Marlos to hit the ball into the far corner with his back heel – 0-1. The hosts tried to get back into the game and took three shots on goal before the half time break, but all of them were off target. Shakhtar players did not sit back and went forward at first opportunity. At the end of the first half, Schalke coach fielded a forward instead of injured holding midfielder. After the break, the Pitmen controlled ball possession for long periods. The hosts tried to take shots from distance, and the most dangerous moment came when Di Santo failed to head the ball in from close range, sending the ball over the crossbar. On 63 minutes, Shakhtar doubled the lead: Pyatov hit the ball upfield, Ferreyra won the areal challenge, Taison raced past the opponent to drill a cross for onrushing Ferreyra to make it 0-2. After 14 minutes, the Pitmen launched a great counterattack. Taison made a run from his own penalty area before feeding Kovalenko, who scored his debut goal in European competitions, sending the ball into the top corner – 0-3! In the remaining minutes, 33-year-old Eduardo, who is celebrating his birthday today and forward Andriy Boryachuk, who made debut in his first game in European competitions, took to the pitch. As 11 years ago, Shakhtar managed to overcome Schalke thanks to an away win, with this victory becoming the Pitmen’s biggest-ever win in the stadiums of Germany. The Europa League last 16 draw will take place on 26 February in Nyon.